Advances in Food and Nutrition Research recognizes the integral relationship between the food and nutritional sciences and brings together outstanding and comprehensive reviews that highlight this relationship. Contributions detail the scientific developments in the broad areas of food science and nutrition are intended to ensure that food scientists in academia and industry as well as professional nutritionists and dieticians are kept informed concerning emerging research and developments in these important disciplines. 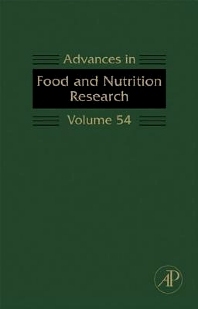 Chapters cover biosensors and bio-based methods for the separation and detection of foodborne pathogens, the immunological components of human milk, PCR-based diagnosis and quantification of mycotoxin-producing fungi, molluscan shellfish allergy, nutritargeting, and a review of the supporting science behind the health benefits of calcium citrate malate.